Awareness Raising and Show of Support Planned for Sat July 19 2014. Join Us! 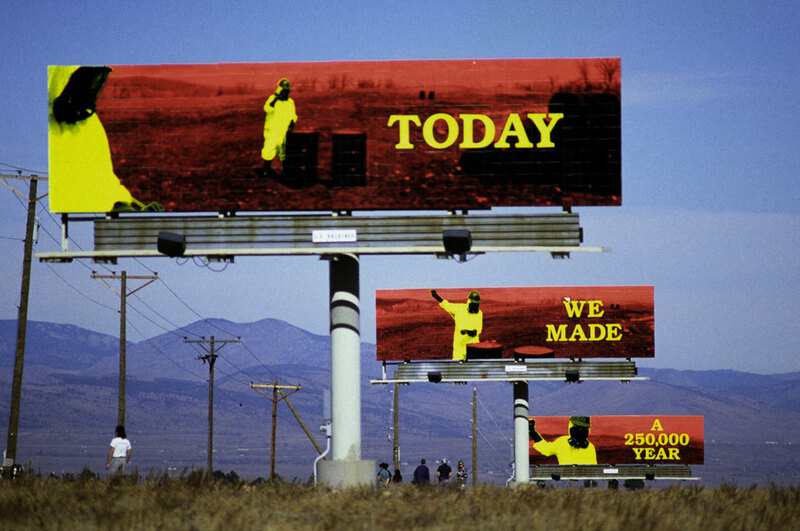 In 1990-1991, artist John Freeman created a billboard series to bring attention to the potentially toxic and hazardous operations of Rocky Flats. He was warning us that every day the plant was in operation, it was creating waste that would keep the site toxic for hundreds of thousands of years. Now, after only a few decades and 25 years after the FBI/EPA raid that shut down the plant, development is underway and planned in ways no one would have imagined then because of the known contamination. Many locals, experts, ex-officials and ex-workers are horrified at pending underway developments in the area that could still pose a public health threat. But many people thinking about recreating or moving into housing developments like Candelas and Whisper Creek are moving from outside the area and often from outside the state. As much of this development has been pushed through with attempts to minimize debate and sweep concerns under (the radioactive) rug, locals have been beginning to gather voicing their collective concerns. We will again be gathering to raise awareness about Rocky Flats’ controversial, contaminated past and keep its memory alive so that people can be protected from its potential hazards. at the Candelas new housing development. We’ll educate and raise awareness, discuss, and take action to say no to development around Rocky Flats, no to opening a “wildlife refuge” on contaminated soil, no to a plutonium parkway, and no to pumping water from the Western slope to feed over-sized, controversial housing. We want communities, children and animals nearby and downwind to be protected and ex-workers to be honored and treated. We’ll have information, signs, and extra has-mat suits for those who want them.